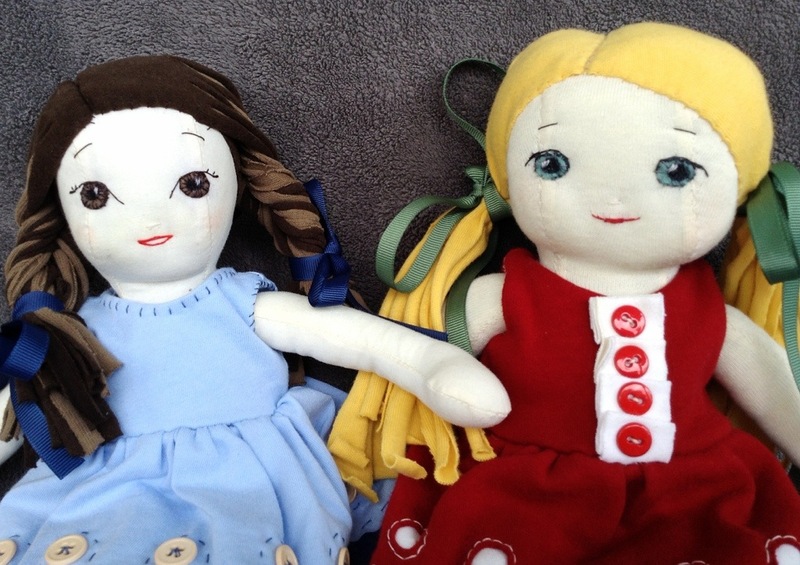 Just a quick post as I continue on this doll making journey. 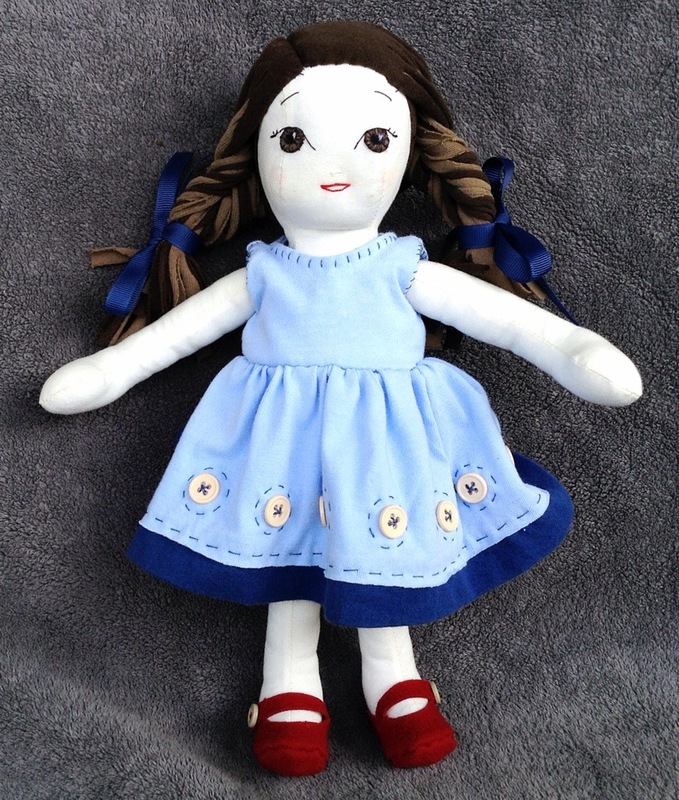 This is a commissioned order for a friend, and I made the body out of a different kind of cotton. I couldn’t believe the difference it made. 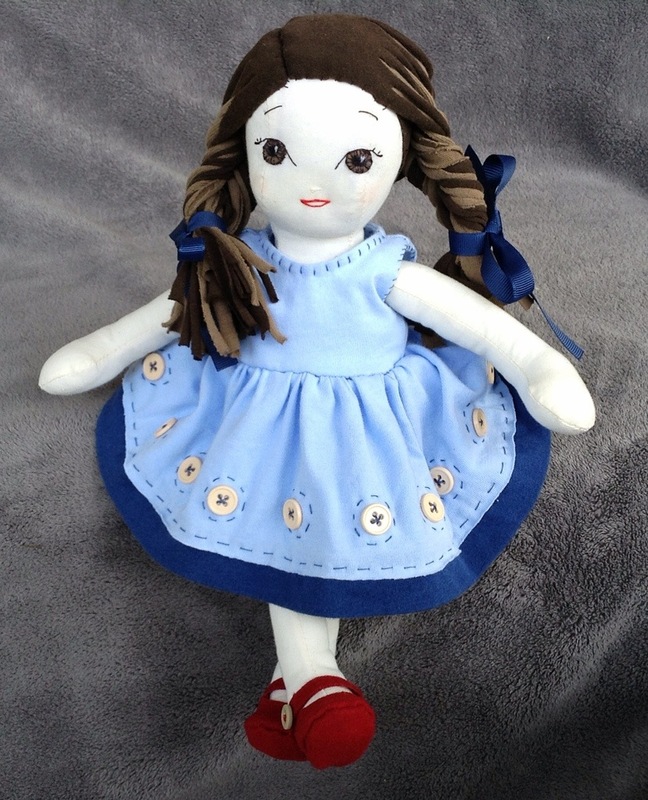 It is the same size pattern, but this doll is a good deal smaller and more dainty. The jersey is so stretchy that you can just keep stuffing! I like this fabric better because it allows for better detail and definition. 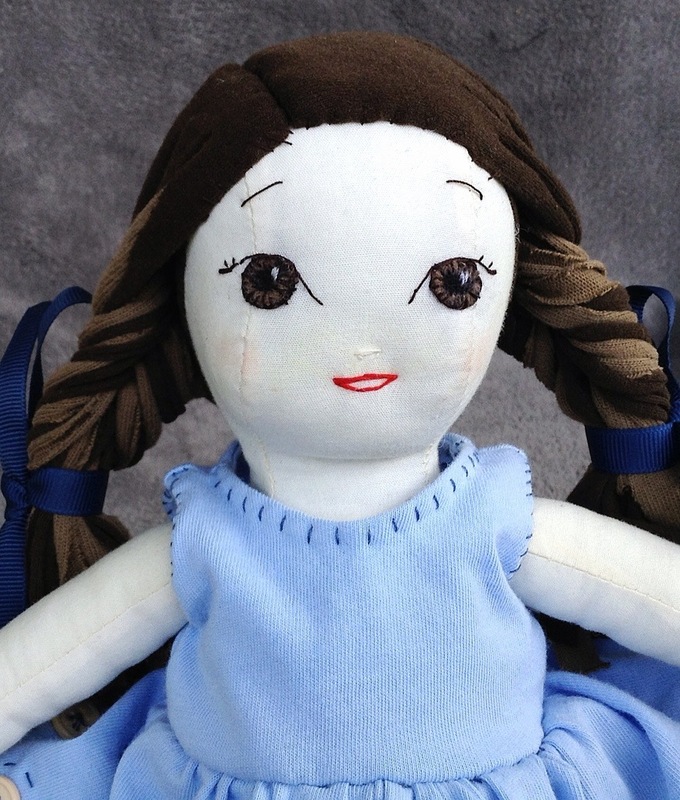 I also experimented with the hair, giving it two shades of brown and braiding it in a fish tail style. 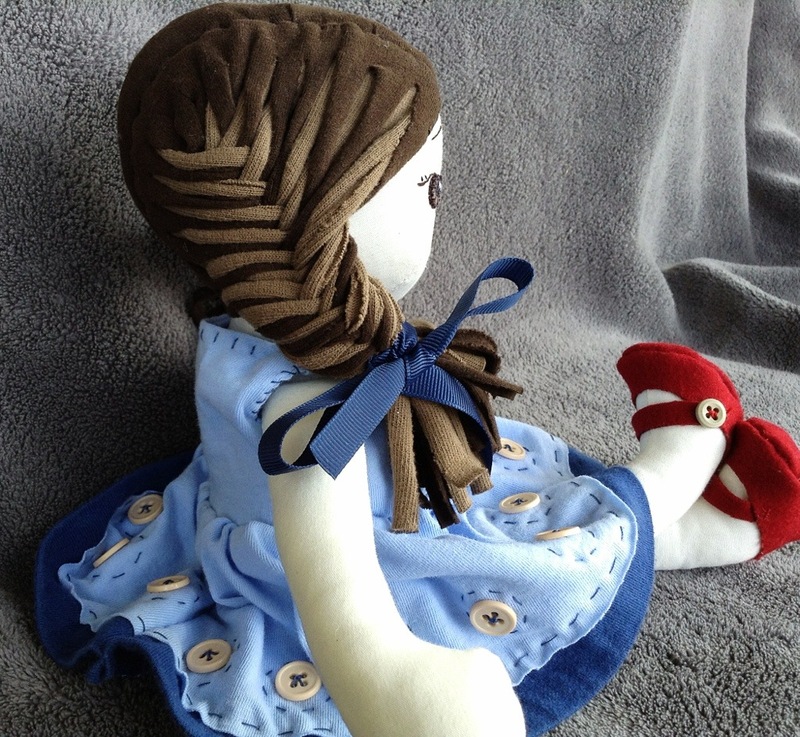 She is borrowing the red shoes from blondie because I am waiting for an order of blue wool felt to go with her blue dress, but I kind of like the red on her. What do you think? Oh stop the cuteness!! I think I like the red shoes to contrast, and her hair is just amazing!